I often receive questions about how to create a blank guitar neck diagram. You know, illustrated guitar fretboard diagrams that you can draw chords and scales on. 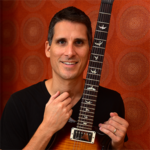 Specifically, guitar players want to know what I use to make my instructional guitar books. In the first volume of Fretboard Theory (the red book) I created the neck diagram in Illustrator and then added the circles and other markings using InDesign. But since then I have found something much better that has SAVED ME A LOT OF TIME–a program simply called Neck Diagrams. It not only generates blank diagrams for you, but it also helps you fill the fretboards in with various chord shapes and scale patterns. I used it in both Fretboard Theory Volume II and Guitar Theory For Dummies. 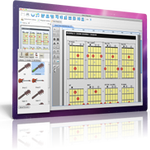 There are many features that make this software useful for guitarists. You can create neck diagrams for left-handed guitar, 7 string guitar, bass, ukulele and even made up instruments. 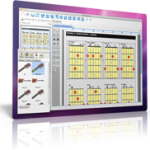 To learn how it works, take a tour of the program and download the free demo. There are also some tutorial videos to help you get started. If you have any questions, click on the HELP button and contact support.